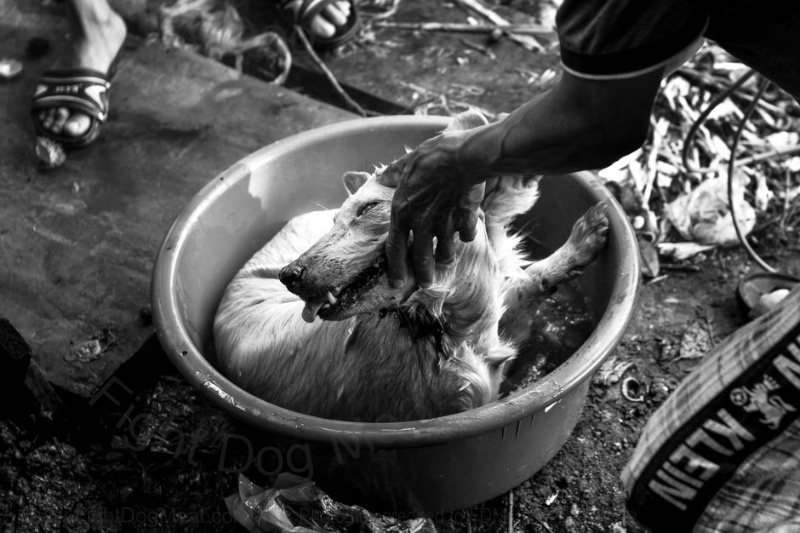 In 2015 photographer David Tesinsky took a series of photographs showing foreign workers in Malaysia illegally killing dogs and gorging on the dog meat. 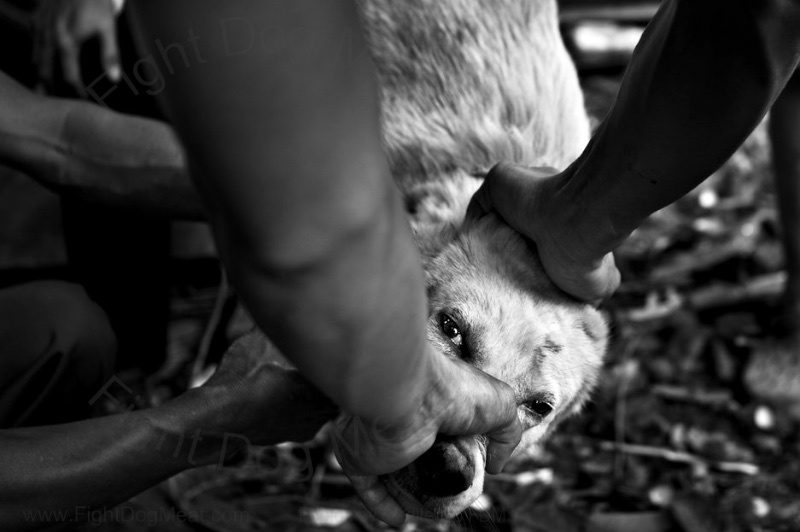 The Vietnamese workers live in Malaka, Malaysia and actively hunt down and kill stray dogs for their meat. Think how many times the dog would need to be struck before even losing consciousness. Low income immigrant workers blame soaring food prices for their actions. Tesinsky reports that some restaurants serve illegal dog meat as an ‘exotic’ dish, along with snakes, turtles and monitor lizards. Carrying the injured dog to be cooked. Immigrant workers eating dogs and cats while in Malaysia is not new. 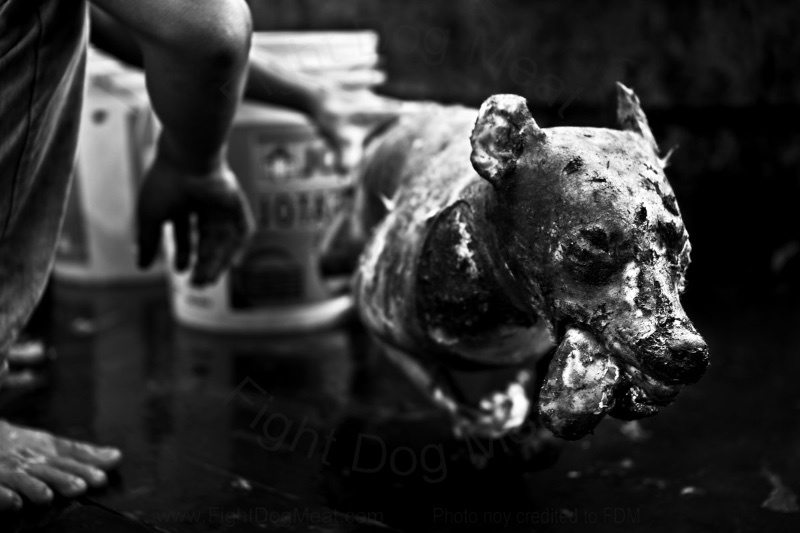 Back in 2008 an Indonesian foreign construction worker was seen by a Star reporter, beating a puppy with a lump of wood, at a petrol kiosk in Bukit Tinggi. Preparing to remove the dog’s fur. ‘Eating three puppies is enough to feed five men and its a great way to cut food bills down and send larger amounts of money back home to our families in Indonesia,’ said construction worker Wagang Saring. He said dog meat gave them energy to work in construction and added that his friends already had the fire lit to cook the puppy. Puppies about to be slaughtered for dog meat. Nearby, a number of female dogs were seen which had recently given birth to puppies, but no puppies were able to be found. The dog in the above photographs, ready for immigrant workers to eat. Photographs credited to David Tesinsky. WE HIGHLY RECOMMEND the Vietnam Animal Aid And Rescue (VAAR), formerly known as VAWO, who save dog meat dogs and cats and run a Vet Training School to teach local vets and trainees, humane practice on pets within Vietnam. Many local Vietnamese vets do NOT USE ANESTHETIC ON DOGS OR CATS DURING OPEN SURGERY! VAAR urgently need financial help!